2017 was a year of vital importance in the life of St. Innocent Church, because it commemorated the parish's 50th Golden Anniversary — certainly a major milestone JUBILEE event. To read and/or print the 2-page PDF file article with 15 small photos about the Hierarchal Divine Liturgy and the Banquet, click here. To view the 253 photo slide-show, consisting of 175 photos of the Hierarchal Divine Liturgy at St. Innocent Church on Saturday, October 28, 2017 and 78 photos of the banquet at St. Michael's Banquet Hall, click here. Not only did 2017 mark the 50th anniversary of the parish, it is also marked the 50th Golden Wedding Anniversary of Fr. 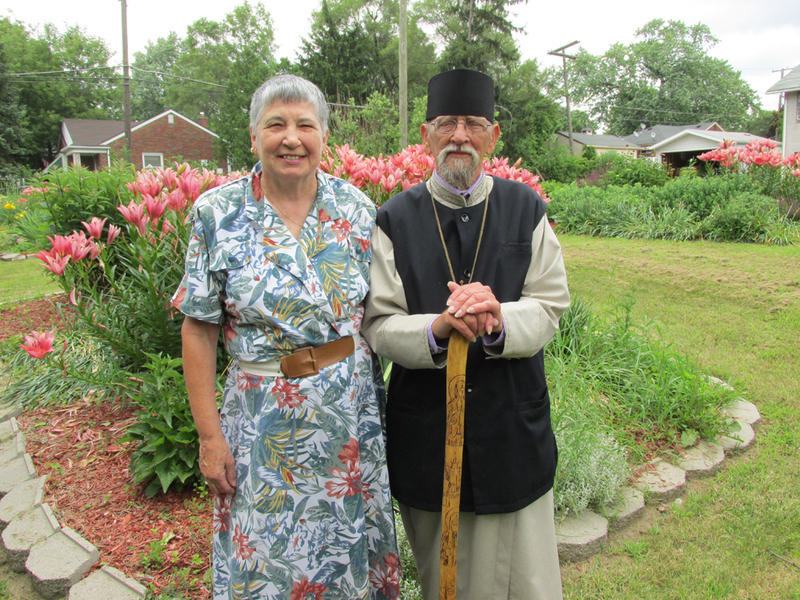 Roman and Matushka Rose Marie, who have faithfully served St. Innocent parish for the past 33 years. View the photo-slide show and news article of the celebration on September 3rd at: https://stinnocentchurch.com/50th_wedding_anniversary.html .